Review: Is The Credit People the Right Firm For You? How Does The Credit People Work? 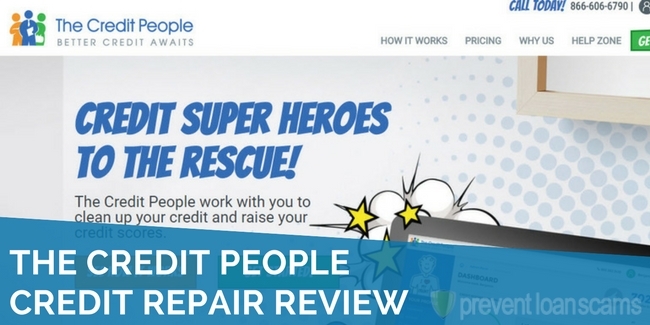 The Credit People ranked #4 in our annual review of the best credit repair companies. What we like the most: the firm sets itself apart in the industry by offering a 100% money-back guarantee if you don’t see results in the first 60 days of your credit repair program. Patience is a critical quality for anyone hiring a repair agency to have. Credit repair is usually never the “quick-fix, done-in-a-month solution” you hear advertised by fly-by-night “companies” (we’re using the word “companies” here very loosely). The Credit People have been in business for over 15 years, and have a history of getting tangible results for their customers. That’s precisely what makes this company’s 60 day guarantee so attractive. 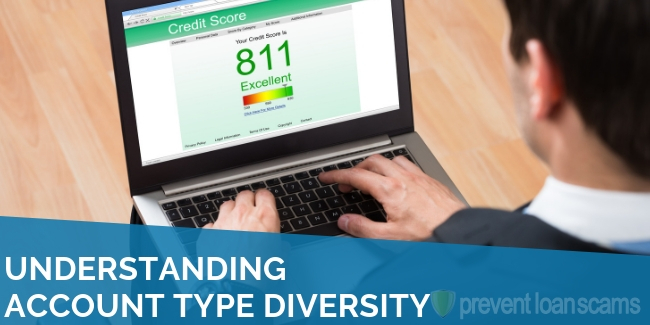 A combination of interesting payment plans (their pay-in-full rate is the cheapest in the industry, among reputable firms), the above-mentioned guarantee, and a track record of results helped The Credit People to a PreventLoanScams.org rating of 8.9 out of 10. 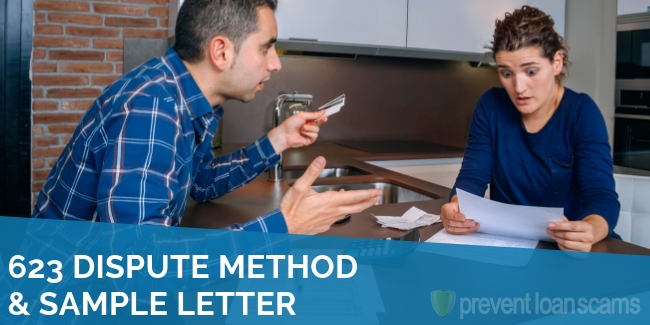 This review aims to help you determine whether The Credit People is a viable credit repair company for those seeking to improve their credit and clean up their credit reports. Our hours of research into The Credit People and the quality of its service, as well as the credit repair industry as a whole, revealed plenty to like about the firm. The Credit People ranked #4 in our research of the top agencies in the industry. The Credit People’s most unique selling point is their pricing structure. No other reputable credit repair company, in our estimation, offers quite the same flexibility in their payment options. Most notably: The 7 Day Trial, priced at $19, is an idea we’d be interested in seeing other firms adopt. We like it as a tool for those who aren’t sure what to expect after hiring a repair agency. Granted, you are not likely to see remarkable improvement in your credit score and/or report within just 1 week (re: what we said about patience). However, customers can use this Trial option as a means for feeling-out how the company is going to treat them as a customer. Within the 7 days, you should have a fairly concrete understanding of where your credit stands from a professional’s point of view, and what the firm says they can do for you. If within those 7 days you’d prefer to move on to another credit repair option, you’re only committed for the $19 trial payment, rather than upwards of $70-100 for a full first-month another top firm may charge. The firm’s Flat Rate payment plan is $419, up-front (typically due 5-7 days after sign-up). This plan covers everything a normal, monthly-membership service would, without the monthly draw on your bank account. 6 months at the normal rate of $79 per month = $474. If Customer X had opted for the up-front Flat Rate program, she would have saved at least $55 in fees (assuming a stay with the company of 6 months or more). A flat up-front fee isn’t for everyone. Some prefer the flexibility (and short-term affordability) of a monthly payment plan, even if it means you’re paying more for the same service over time. However, we like this as another instance of The Credit People offering a level of pricing flexibility not seen among other companies. Note 1: The $419 up-front plan is not available for those who opt for the $19 7 Day Trial. Note 2: The Credit People’s $79 monthly rate is priced roughly in line with rates from other top firms. A hallmark for most repair firms is the “necessary evil” of additional fees. We’re not fans of additional fees, especially for services critical to the success of fixing your credit (like credit report pulls). The US Government has mandated eligibility for consumers to receive a free copy of their credit report every year. So, the existence of a credit repair company’s offering of free credit report pulls shouldn’t be surprising. Yet, it is (a welcome surprise, at that). Especially among the top firms in the industry. A money-back guarantee: something not often found among reputable firms in the industry (Sky Blue Credit Repair being another notable agency with a similar offering). By now, you get the picture. 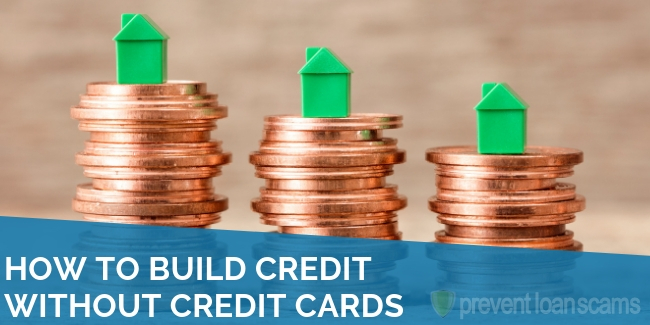 The Credit People earns points for affordability, again. However, similar to the 7 day trial not being enough time to truly gauge effectiveness of an actual repair process, 60 days is also a fairly brief period of time in a credit repair plan’s big-picture. If a repair program can take 6-7 months, on average, to complete – expecting remarkable results in 2 months seems like a bit of a stretch. Suppose your credit report has 20 errors to clean & clear. You would be wise to have the patience to wait at least 4-5 months before you can expect most (or all) of those items removed. However, if a firm (like The Credit People) is worth their salt – 60 days should be plenty of time to show results moving in the right direction. 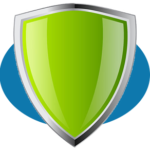 That appears to be the premise on which the company is staking their guarantee. You, the customer, may not have all of your errors taken care of within 60 days – but you should see enough in the way of actual results to satisfy your expectations. We appreciate this measured approach to a money-back guarantee, combined with the aforementioned flexible pricing features. You will likely speak to a different person each time you call in to The Credit People to discuss your active credit repair program. Other companies, like Lexington Law and Ovation Credit Repair, offer personal case advisers or paralegals who act as your primary point-of-contact whenever you speak with the firm. Some appreciate the personal touch. Others could take or leave it. You might have a particularly sensitive story behind your credit, and a familiar voice would be a welcome component to working with a national company. However, that option is not currently available with The Credit People. The Credit People’s doors are open Monday through Friday during regular business hours (9 AM – 5 PM CST). March 2019 Update: The Credit People now also offer 24/7 customer service outside regular business hours via an off-hours support center. If you need assistance on the weekend, or in the evening on a weekday, you will likely need to wait until the next business day. Customers who are not only looking to hire credit repair company, but also learn the nuts & bolts of the entire process (while learning more about how to avoid future credit pitfalls) may be disappointed. The lack of educational material on The Credit People’s website used to be a more glaring concern. However, as of 2019, an effort to improve the company’s credit education offered to its new & potential customers has clearly recently been made in their “Credit Resource Center” section. The firm lacks a noteworthy base of reviews online, relative to other reputable companies in the industry. The trouble with relying on faceless online reviews, especially when it comes to credit repair: you hear more often than not from the disgruntled customers than the happy. Most of the negative reviews we assessed largely dealt with unmet expectations. A common theme involves customers not seeing results as quickly as they expected (re: the patience factor), or demanding refunds outside of the 60 day window. The company received a grade of C from the BBB, Better Business Bureau (at the time of Prevent Loan Scams’ last check: November 2018). However, they’ve only received four customer reviews and seven customer complaints on the website. A sheer lack of consumer experience data from respected sources appears to have to allowed a small handful of upset customers’ reviews to heavily affect the firm’s overall rating. The firm appears to be inefficient in following up with its happy clients in order to encourage them to leave a review online. Nevertheless, we (along with consumers) would like to see the firm climb to more favorable ratings in the future – both on the BBB, and elsewhere. If you have erroneous items on your credit report, and want to hire a firm to handle the repair for you – this company can help. 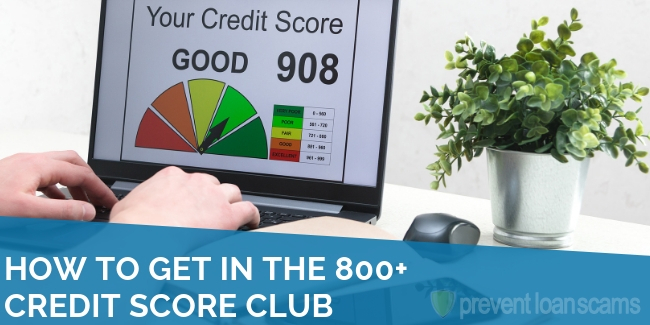 The Credit People is one of PreventLoanScams.org’s top choices in the industry based on their affordable, results-oriented pricing, and their propensity for getting results. However, there are certain items on your credit report The Credit People (nor any firm) cannot remove. The reporting agencies behind those items are legally allowed to report the debts and/or inquiries on your report. Your credit repair company may attempt to remove actual debts or inquiries, but should not offer any guarantees of success. How Does Credit People Repair Your Credit? Customer initiates the process by either starting with the 7 Day Trial ($19), or the $419 Flat Rate plan. Afterwards, the company will retrieve & load the customer’s credit reports and credit scores into an online account for viewing. 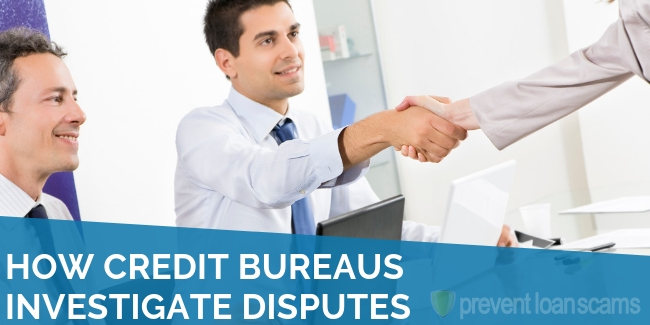 Shortly after, a credit repair analyst with the firm will be in contact with the customer to help them develop a credit repair strategy as they review the customer’s credit information. Once this is done, The Credit People says customers will start seeing improvements in 60 days or less. 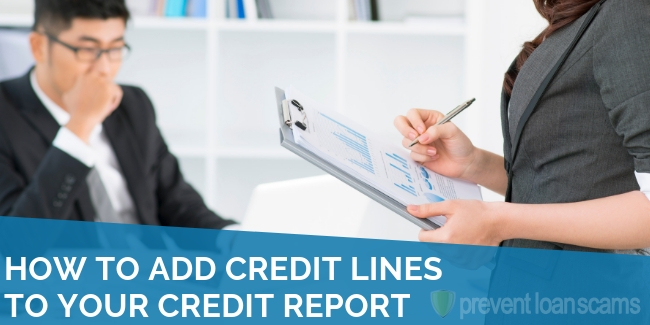 At the conclusion of this 60-day period, The Credit People will deliver updated credit reports to the customer so they can see firsthand the results gained by the agency’s efforts. The company also states customers can expect to see continued improvements in their credit during each subsequent month after the 60-day period as long as they continue enrollment in Credit People’s services. How Much Does The Credit People Cost? The first program is a monthly membership with a $19 seven day trial. If a customer decides to continue service after the seven-day period, the cost will be $79 per month. The Credit People’s website states customers have the freedom to ‘pay as you go’ with the possibility to cancel at any time. The second payment option The Credit People offers is a ‘flat-rate membership’ program. This program is a one-time fee of $419 for their six-month credit repair program. This payment option comes with the guarantee of customer satisfaction or a full refund. On their website, The Credit People states customers will receive the same level of service regardless of which option they choose. One should expect to see the most improvement in their credit reports within the first 30-60 days of enrollment. Who are The Credit People? The Credit People does not indicate a singular individual as the owner of the company. Does The Credit People Offer a Guarantee? Yes. The company offers a 60 Day Satisfaction Guarantee. Customers can receive a refund at any time during the credit repair process within 60 days of sign-up. Can Deleted Items reappear on my credit report After Deletion? Yes. There is always the possibility, even after an item has been successfully removed from one’s credit report, a credit agency will continue to report where a customer has a legitimate unsettled debt or other credit issue. This is an event that is usually outside the control of any individual or agency. 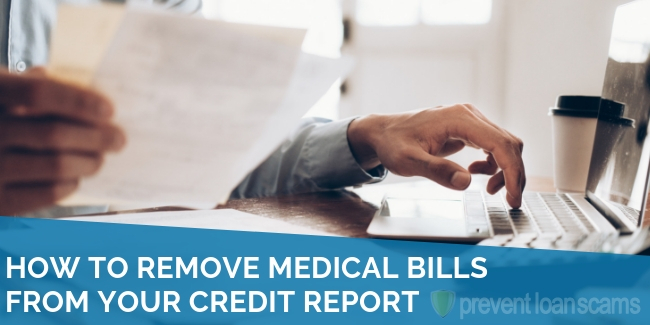 The Credit People does, however, affirm they will maintain constant vigilance on their client’s credit reports to remove such errors in the future. How Long Does Credit People Take to Repair Your Credit? The company states users can expect to see results within 60 days of applying for membership. Do they offer a discount for family members or couples? A couples’ discount of $20 per bill for the first 3 months of your membership is available. This discount is quoted in total (ex. $10 off per person). The Credit People’s phone number is (866) 340-1858. Hours of availability for phone support are 9 a.m. – 5 p.m. CST. What Results Can You Expect From Credit People? Clients may begin seeing credit improvements within 60 days, per The Credit People’s website. You can cancel your subscription with this company by phone during regular business hours. How much does the program cost each month? I have bankruptcy, credit cards & repossession on my reports.